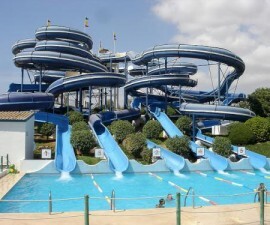 Situated in Guia, just a few kilometres from Albufeira is an Algarve water park with a difference. Zoo Marine offers a full marine experience for all the family, showcasing numerous species of tropical fish, dolphins, seals, sea lions and sharks as well as tropical birds and birds of prey from all corners of the globe. The park is a veritable voyage of discovery for adults and children alike as they encounter, observe and learn about wildlife, conservation and the environment. The 4D cinema uses digital animation and technology in a whole new way to enhance the visitors’ experience while the Aquarium-Museum explores the mysterious world of sharks through 20 different eco-systems. Zoo Marine runs a rehabilitation centre that focuses on reintroducing a wide range of marine species into their natural habitat, supported by a large team of professionals and volunteers. 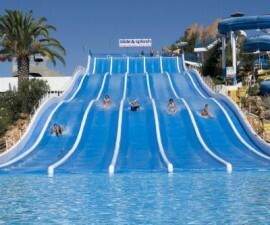 Despite its educational philosophy, this Algarve water park retains a heavy emphasis on fun. 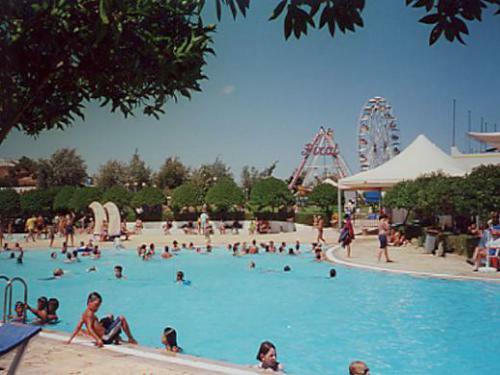 There are organized presentations throughout the day involving many of the park´s key attractions. Visitors flock to the dolphin arena for a show that wows its audience with the acrobatic abilities of these unique mammals and showcases the beauty of the relationship they have with their trainers. The choreographed display of the sea lions is another major attraction, while away from the water hawks, eagles and owls showcase their speed, power and agility. 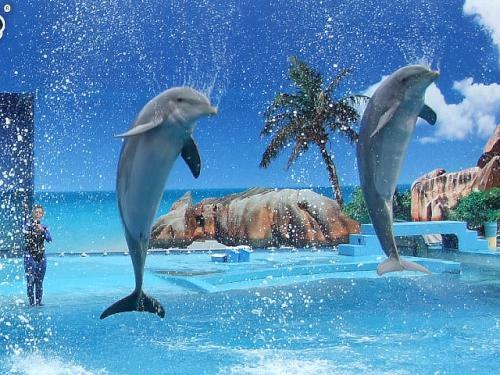 One of Zoo Marine´s most highly-prized offerings is its dolphin experience. This doesn´t come cheap and is best booked well in advance, but if the budget stretches, it is well worth the effort. Various packages are available for group or private sessions in which the participants are invited to meet the dolphins and their trainers, learn about dolphins and their training at the park and share time with them in the water at the end. The park is extremely well organized and easy to navigate, with the attractions set out in spacious grounds surrounded by lawns, green spaces, swimming pools and plenty of palm trees for shade. 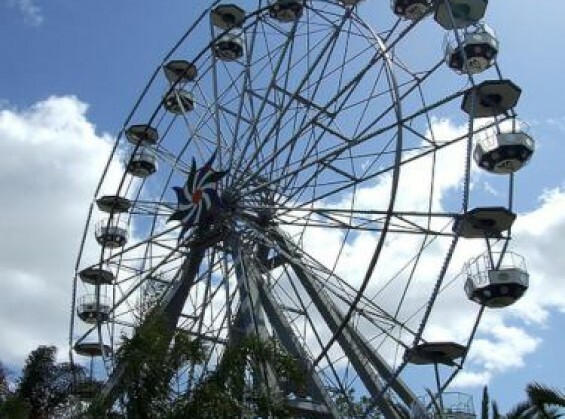 It is peppered with a good smattering of water-themed funfair attractions all of which are included in the set-price entry fee, ensuring plenty of fun and diversity for the younger guests. 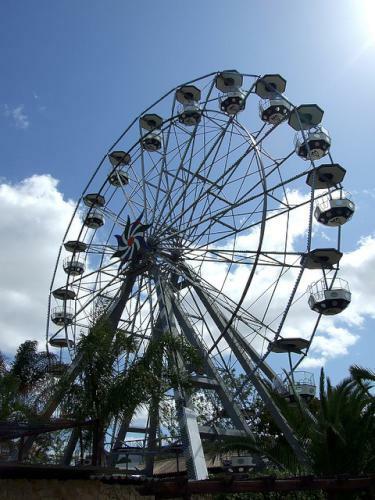 The park offers many amenities including free car parking, transport service, well-equipped changing rooms and showers, wheelchair rental, kiddy car rental, refreshment kiosks and a gift shop. 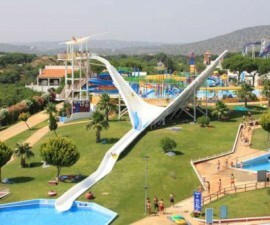 Plan to spend a long day at this Algarve water park before heading back to the sandy beaches.